Phil Harnage was a writer on The Super Mario Bros. Super Show, The Adventures of Super Mario Bros. 3 and also Super Mario World. 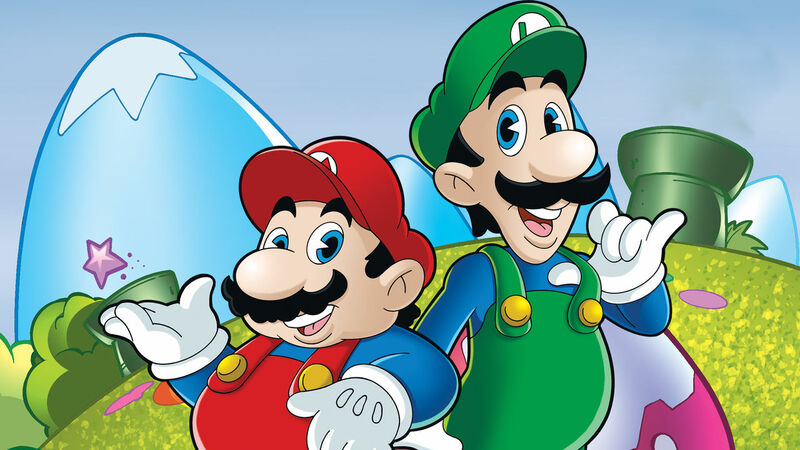 In an interview with Eurogamer, Harnage discusses what it was like turning Mario and friends into an animated series, and how they got away with the cartoons being quite different from the source material. "I have never been very good at video games, but I did play Mario because the in-house producer was a fanatic and had a Nintendo [console] in his office. Mostly, I would sit and watch him because he was so good, and he would say there's that creature and this other creature you've got to watch out for. He taught me about the world. The show was going to be different [from the games] yet it had to have all the familiar touchstones, like the Goombas, the fire plants...if we ever excused something from the game we heard about it, but Nintendo reviewed the scripts and they made sure that everything was good. They were also kind of liberal in letting us do things that had never been in the game and there was no pushback. I think they liked it when we put Mario in the wild west, in the future and underwater. We would take a familiar fairy tale, legend or something the kids already knew and we would build up an episode around that and make it as fun as possible."